When friends Daniel Gray and Christa Wittmier (aka Super CW) were diagnosed with cancer about a year apart, they went through the same reaction: First, shock, followed by being overwhelmed at the thought of what comes next. That it was shocking could be expected — a diagnosis for anybody must be, and they were both only in their 30s, active, and until then, relatively healthy. But determining the first steps toward treatment should have been easier; instead, it was a blur. There were countless different approaches, and sometimes, it seemed like they all contradicted one another. Over the following weeks and months, Gray and Wittmier pieced together the treatments, alternative therapies and diets that worked for them. These days, they’re pros — they’ve got an impressive repertoire of cancer-friendly meals to prepare, a list of supplements to take, and a number of lifestyle changes that they adhere to strictly. But it was a long, hard path to get there, and they remember the awful disorientation of those early weeks. “From what I have been through so far, being diagnosed and that first week of trying to accept that, come to terms with it, that is definitely the worst part,” adds Wittmier, who was diagnosed last year with stage four breast cancer. To offset that initial confusion for others, Gray and Wittmier are launching their own nonprofit, Aloha Cancer Project, a resource hub for the newly diagnosed. 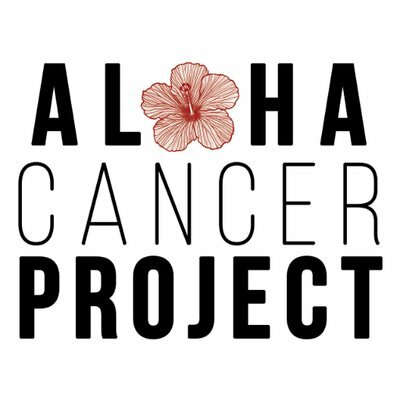 Aloha Cancer Project celebrates its official launch with a party from 5 p.m. to 2 a.m. Feb. 6 at Nextdoor, featuring surprise performances, DJs, health and wellness resources, healthy food, and craft vendors. It’s quite an undertaking for two people who, on top of still undergoing their own treatments — Gray underwent a gamma knife surgery a couple weeks ago; Wittmier was declared cancer-free in September but still has a number of follow-up procedures to go — are already very busy: Gray owns Next-door, while Wittmier is senior marketing director at Young’s Market Company, as well as a DJ and Metro and Honolulu Pulse columnist. But they feel that that’s exactly why they’re just the people to do it: With their skills and wide-reaching connections, they have the capacity to help a lot of people. Wittmier spends four hours each Sunday boiling taro leaves to eat throughout the week, incorporating them into dishes like her version of a loco moco: free-range, organic eggs and sweet potatoes. Recipes and food tips are a key component for Aloha Cancer Project — diet, they say, has been crucial to their health. They’ve had to cut out sugar, dairy and grains. Organic vegetable soups have become a favorite of Wittmier’s. For Gray, a typical meal consists of fresh vegetables paired with unprocessed meat or fish. He’s also concocted healthy versions of things like nachos and chili using organic beef. But changing your diet to a cancer-friendly one can be intimidating, they’ve found. Not only is there a plethora of information out there, but it can also be difficult to find unprocessed foods. Aloha Cancer Project will post new recipes regularly, and Gray is in the process of creating a cookbook. The pair also feels that such dietary practices can help people with any kind of chronic condition — and even benefit those who are already in good health. “That is the cool thing about it — the project, especially with the dieting, it doesn’t even have to be for people with cancer or any kind of life-threatening illness,” Gray says. Gray and Wittmier also have integrated lifestyle changes — Wittmier meditates and does yoga daily, and they’ve both cut out partying — as well as alternative therapies including acupuncture, taking high doses of vitamin C and other natural supplements, and hyperbaric oxygen into their treatment regimens. But many alternative treatments are not covered by insurance. To that end, Aloha Cancer Project also will serve as an event organizer to throw fundraisers for other cancer patients to raise money for their medical bills and any additional treatments they want to pursue. It’s something that Gray and Wittmier both did — with profitable results — and as longtime veterans of the nightlife scene, they can “throw a fundraiser in their sleep,” as Wittmier puts it. If Gray and Wittmier have some sense of duty to share their knowledge because of who they are (as Wittmier says, “not everybody is a DJ or a club owner; we want to make (resources) accessible to everyone”), it perhaps stems in part from the fact that they both benefited from their extensive social connections. In discovering lesser-known alternative treatments, they acknowledge the crucial role that their extensive social networks have played. Their many friends, colleagues and acquaintances helped them raise money for their medical bills. For Wittmier, when a friend reached out to a naturopath on her behalf, it changed her whole course of treatment. “I felt like I was honestly blessed — I hate to say that word without using a hashtag and being in a yoga pose on the beach — but I swear, I felt like it was just too perfect, the way it just all kind of fell into my lap,” she says. Following their own diagnoses, they’d continually hear about more and more people getting diagnosed — others in the nightlife industry, friends of friends. They’d reach out to Gray and Wittmier, asking for guidance — where should they go? Whom should they talk to? Does this really work? “These people are completely clueless, just like we were,” Gray says. In addition to Aloha Cancer Project, Wittmier also is in the process of filming a documentary detailing her story — sharing how she went from stage four cancer to cancer free in four months. Ultimately, she hopes to screen the film worldwide, while handing out a paper she wrote, “Cancer Plan of Attack,” that gives a rundown of how she approached treatment. The launch of Aloha Cancer Project is still a few days away, but there’s already been one post up on the site for a few weeks that Wittmier wrote: a list of tips for people starting chemo. Along with details on what to eat and drink, the post has a section that addresses the state of mind in which to approach chemo. There, she advises people to thank their cancer for the lesson. That their illness has come with a lesson is a sentiment they both share. “There have been like 80 lessons,” Gray says. “I would be really sad if I didn’t get it,” Wittmier says with a laugh. “I’m serious. I would have been on the wrong, completely wrong, path.” She likens the experience to having someone yank the collar of your shirt while you’re walking, pulling you back and re-directing you. At a younger age than most, Gray and Wittmier have had to stare down death and confront a fact that we all know but willfully ignore — the fact that, one day, we are all going to die. “Coming to terms with that and having it shoved in front of your face all of a sudden, it makes you re-evaluate your life — what are your passions, what’s important to you, if you were to die tomorrow, would you have regrets, and what would those regrets be? Would you be happy about certain things, and what would those things be?” Gray explains. His questions linger for a moment, before Wittmier points out that their experience has prompted them to focus more on the things they love — surfing, writing, DJing, friends and family. For both, Aloha Cancer Project is among their paramount priorities. “This is something where I felt like I got (cancer) because I need to be able to share and I need to be able to help people,” Wittmier says.